The state's energy stakeholders gathered in Concord Thursday. 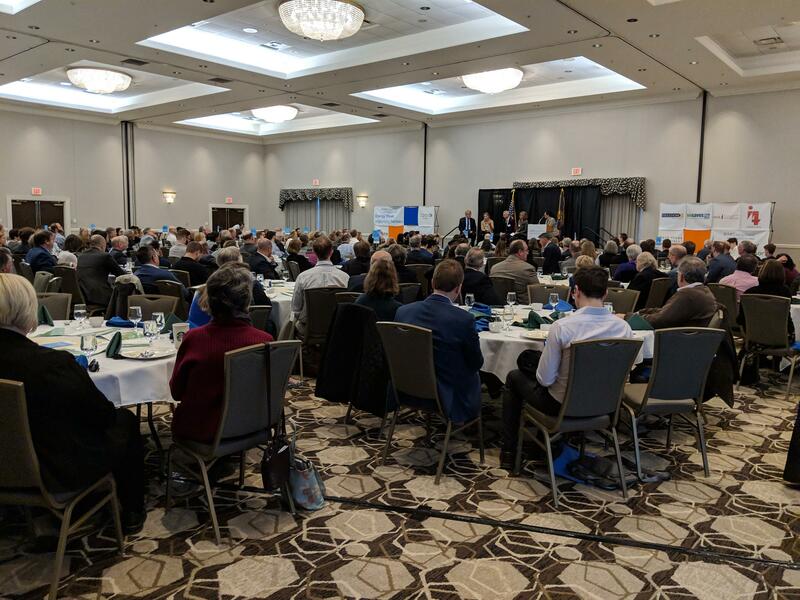 Energy industry players announced big plans for the future of New Hampshire’s electric grid at a conference in Concord Thursday -- even as some progressive energy ideas continue to stir controversy in state government. Bill White is the North American director for the German wind company EnBW, which recently joined the trade group Clean Energy New Hampshire after Gov. Chris Sununu requested a federal task force that's the first step toward potential offshore development. White was interviewed at the group's spring conference by New Hampshire Public Radio podcast host Sam Evans-Brown. 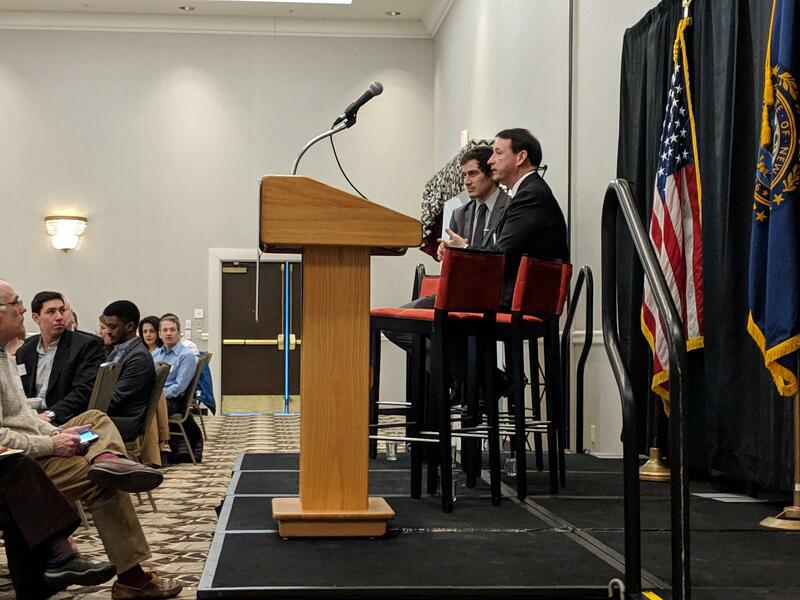 "The reason we're here meeting with people in New Hampshire is to say that we actually think the technology's going to evolve, such that we could actually build economical, affordable offshore wind that can generate jobs in the New Hampshire economy." He says the next generation of wind turbines will have to be built on the coast, because they'll be too large to move over highways. Meanwhile Eversource, New Hampshire’s largest utility, says it's moving forward quickly on plans to decentralize and modernize the state’s electric grid. NHPR's Sam Evans-Brown, left on stage, interviews EnBW North America director Bill White about offshore wind development in the Gulf of Maine. "Like all revolutions it's not easy - it's messy at times,” she says. “But our vision of what the future grid for New Hampshire and actually for all of New England is pretty clear and it's pretty simple."